Ernest Beal was only Brighton man to have been awarded the Victoria Cross in the First World War. He showed immense bravery in holding a section of trench, capturing machine guns and looking after a wounded man. 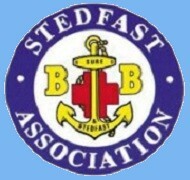 Ernest Beal was born in 1883 and became an active member of the Boy’s Brigade. When war broke out in 1914, he was 31 and he enlisted as a trooper in the 21st Sussex Yeomanry. Later he was promoted to sergeant and was posted in 1915 to the Balkans. Beal was transferred to the 16th Royal Sussex Regiment in 1916 and served with his new unit on the Western Front. He was recommended for a commission and was finally transferred to the 3rd Yorkshire Regiment in 1917. Second Lieutenant Beal was awarded the posthumous VC for conspicuous bravery on March 22 1918 at St Leger. On that day, he died of wounds, aged 35, when saving the life of one of his men under fire. His name is listed on the Arras Memorial to the Missing in Pas-de-Calais, France.